Athletic Pure Pack is designed to help neutralize the effects of free radicals generated during training to lessen muscle soreness and fatigue following physical exertion. 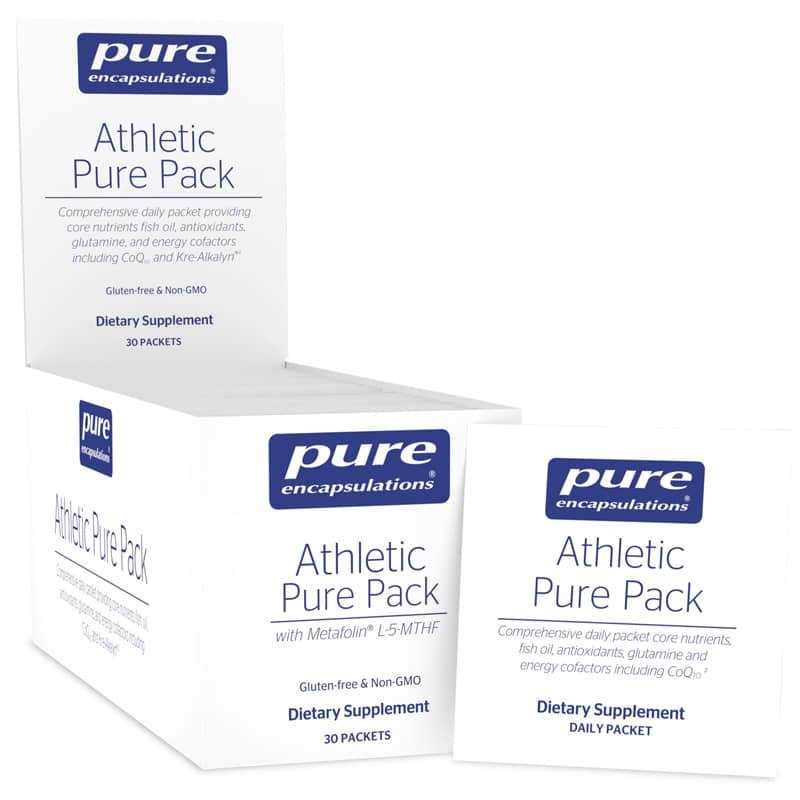 Athletic Pure Pack supports muscle preservation and healthy connective tissue integrity. Other Ingredients: vegetarian capsule (cellulose, water), gelatin capsule (gelatin, glycerin, water), hypoallergenic plant fiber (cellulose), ascorbyl palmitate. PowerGrape is a registered trademark of the "Actifs Innovants" division of Naturex. ChromeMate brand niacin-bound chromium. ChromeMate is a registered trademark of InterHealth, N.I. Kaneka Q10 is a U.S. registered trademark of Kaneka Corporation. Adults: As a dietary supplement, Take 1 packet daily (9 capsules), with a meal. Vitamin K may be contraindicated with Coumadin (Warfarin). If you are taking any blood thinning medication, consult your health professional before use. If you are pregnant, nursing, taking medications or have a medical condition, please consult your healthcare practitioner before use. Keep out of the reach of children.